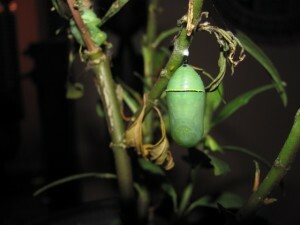 Monarch butterflies begin life as eggs and hatch as larvae. The larvae become colorful caterpillars that will create a hard protective case around themselves as they enter the pupa stage. They emerge as beautifully colored, black-orange-and-white adults. The colorful pattern makes monarchs easy to identify—and that’s the idea. The distinctive pattern warns predators that the insects are foul tasting and poisonous. Monarch butterflies are known for the incredible mass migration that brings millions of them to California and Mexico each winter. North American monarchs are the only butterflies that make such a massive journey—up to 3,000 miles. At one time, Doheny was noted as one of the top ten locations in California to see the Monarchs as they stopped over to refuel on the park’s eucalyptus trees. 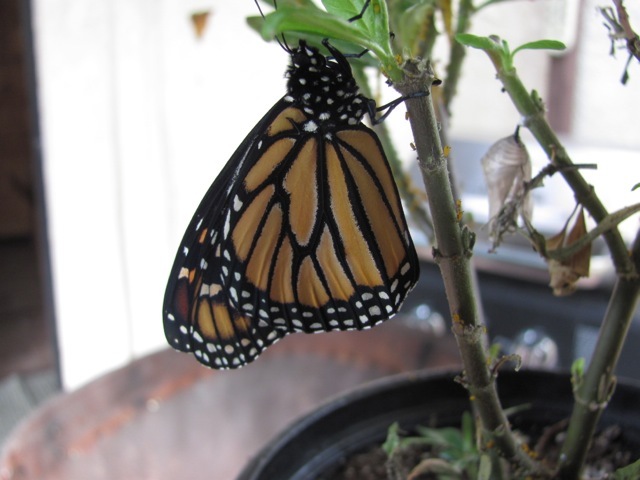 Although they don’t return in such abundance these days, we still look for them in the Doheny Butterfly Garden each winter.